Now that Salt Lake Comic Con has come and gone, it feels like the day after Christmas for the cosplay set. The cape and spandex go back into the closet, and there's a long wait until the next time a superhero or time-traveler is needed on the scene. Nevertheless, you don't have to wait for the next Salt Lake Comic Con to get your geek on. Put these geek getaways on your travel bucket list. Celebrate the regeneration of the 12th Doctor and the new eighth series of the 50-plus-year-old BBC series (which premiered in late August) by jumping out of the traditional space-time continuum and into the Tardis. This interactive tour lets you go inside the mysterious police box and on an adventure where you'll encounter Daleks and other characters. Afterward, you can wander through a museum filled with props and costumes from the show. Trust us: The weeping angels are much scarier up close than on the screen. 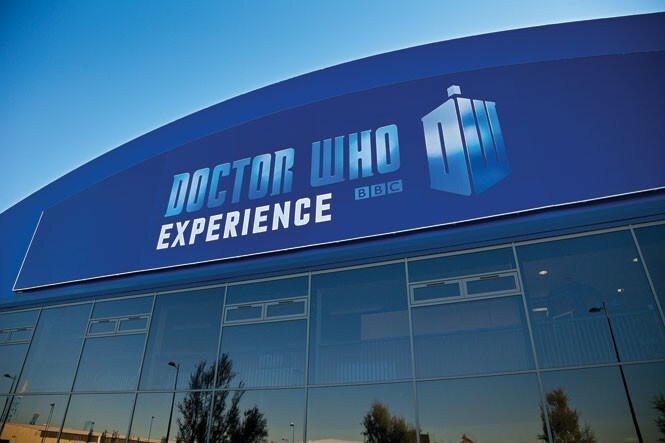 The Doctor Who Experience is located right next to the BBC studios where the show is filmed. Many locations around the city of Cardiff are used in Doctor Who and the related show Torchwood, and tours are available to visit buildings and places you'll recognize from the show. Ultra-geek Kerry Jackson of X96 and the Geek Show podcast recommends this section of Universal's Islands of Adventure as a place to enjoy cartoon heroes, thrilling rides and some adult beverages. "It's the one place where not only can you get your picture taken with Captain America, you can also drink anywhere in the park." Jackson says. "You can go on the Spider-Man 3-D ride and then go get one of those giant frozen drinks." Jackson warns that you should "go on the Incredible Hulk roller coaster beforeyou start drinking," however. Head east on Interstate 80 out of Salt Lake City toward Rock Springs, and in less than nine hours, you can be at the natural wonder featured in Close Encounters of the Third Kind. Once you get there, the only types of festivals involve chili and cowboy poetry. There's plenty of rock-climbing, but no spaceships left over from the filming. All there is to do is enjoy the beautiful outdoor setting.It wouldn't kill you to get out and enjoy nature this one time. Are you willing to go over to the Dark Side? The tour features a variety of interactive displays that ask you questions, and as you answer, your character—and perhaps your destiny—is gradually formed. At the end, you are assigned a character. Which side will you end up on? The popular Identities exhibition runs in the City of Light through Oct. 5, before moving on to an as-yet-unnamed location. 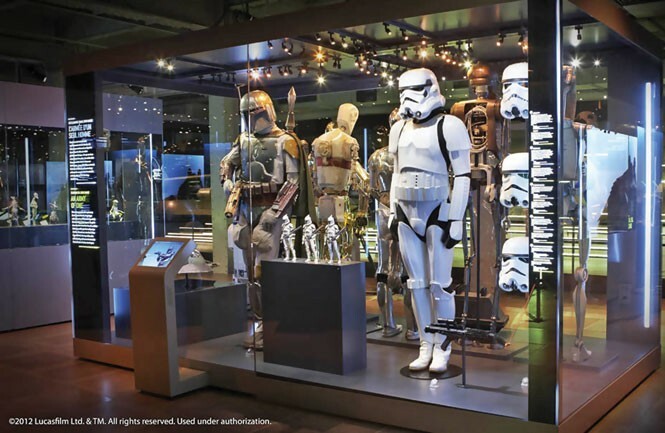 This spot in rural Sonoma County hosts the world's largest private Star Wars collection, and private tours—make sure to book one in advance—are given by owner Steve Sansweet, former director of specialty marketing for Lucasfilm. Bryan Young of BigShinyRobot.com, City Weekly's own expert in all things geek, has gone ranching twice and says, "Rancho Obi-Wan is mecca for anyone interested in the history of merchandising and pop culture, and, of course, Star Wars." He also points out that tours "are each unique and full of Steve's irrepressible personality. It's a must." Drive north on Interstate 15, and after about 12 hours, you'll cross the Canadian border and arrive in the town of Vulcan, which also sits in Vulcan County, just about an hour south of Calgary. This town of 2,000 hosts the annual Spock Days celebration in June, as well as a sci-fi convention in July. Whenever you visit, you can always tour the Trek Station—designed to look like a landed space station—which has a green screen where you can put on costumes, grab a couple of life-size cutouts, and film yourself on the bridge of the USS Enterprise. Vacation in Middle Earth as these tours take you from the Shire's West Cafe through a series of sets used in Peter Jackson's movies, including Hobbit holes and the Green Dragon Inn. The Making of Harry Potter (Leavesden, England) This Warner Brothers Studios tour just outside London visits where the entire Harry Potter series was filmed over 10 years. Since 2012, visitors have been able to see original sets and sound stages, as well as animatronic creatures, all while enjoying deliciously addictive butterbeer. Now get going and get geeky! Kathleen Curry and Geoff Griffin trek around the globe near and far and host the Travel Brigade Radio Show and podcast. You can find them at TravelBrigade.com.